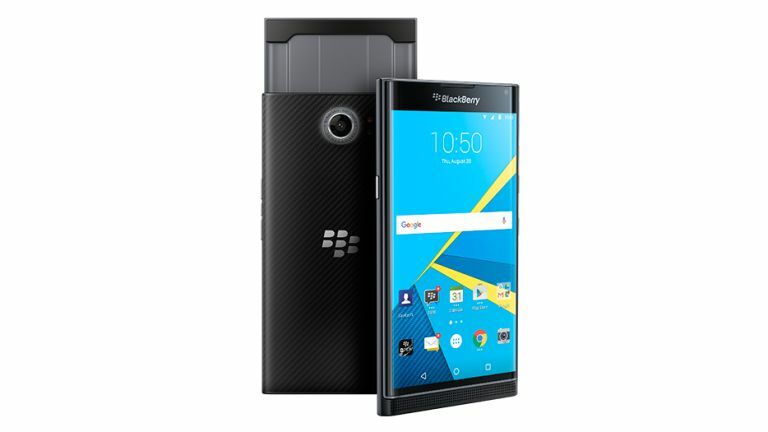 Blackberry has just opened UK pre-orders for the 'Priv'. Here's a roundup of everything you need to know about Blackberry's sleek, sliding handset. If you're touchscreenphobic then the Blackberry Priv, is going to tick all your boxes. It's not often we hear of a smartphone with a physical Qwerty keyboard, but Blackberry have hit back at the smartphone market, launching its brand new phone- the Blackberry Priv. The Priv has just gone up for pre-order in the UK, US and Canada, with shipping of these handsets set for the week of November the 9th. Performance wise the Blackberry Priv is packing a 1.8GHZ Qualcomm Snapdragon 808 with 3GB RAM, 32GB storage, and will also house a micro SD card slot which will take the Priv's storage up to 2TB. In terms of how the Priv compares to Apple's iPhone 6s, it falls slightly short of the 6s' dual- core 1.84GHZ processing speed, so still speedy but not quite up to Apple's latest entry. Screen wise the Blackberry Priv will house a 5.4 inch AMOLED curved screen with a 2560x1440 pixel resolution. Blackberry claims that its new smartphone's screen has four times the amount of pixels you'd find in an average HDTV. The Priv's screen is made out of drop tested Corning Gorilla Glass (the same as the Samsung Galaxy S6 Edge), making the smartphone's screen stronger than many of its rivals. According to Blackberry “the screen is OLED which means it delivers richer colours and deeper black levels with less power consumption”. The Priv's screen comparatively knocks other smartphone contenders out of the water when it comes to screen pixel density. The Blackberry Priv hosts a 546 pixel per inch screen as opposed to the Samsung Galaxy S6 Edge Plus at 401. If you get bored of using the Blackberry Priv's touchscreen, you can slide down the keyboard, and tap away on a physical qwerty keyboard. The slide out qwerty keyboard also acts as a trackpad, so you can move your fingers across the touch sensitive keys and scroll away. The trackpad is also apparently easy to program so that you can turn specific keys into shortcuts. Of course if you're a die-hard touch screen fan you'll never have to use the physical keyboard as you can still navigate the phone by touching the main screen. You're probably thinking that a physical sliding keyboard would make the smartphone thick and clunky like many of its predecessors, but you are in fact wrong. Although we coudn't get an exact dimension for the thickness of the handset, it doesen't look like Blackberry's bulky older brothers. Blackberry also claim that the Priv will have a 'colossal battery life' and that you'll be able to use the handset for 22.5 hours of mixed use i.e. streaming videos, surfing the web and texting on a single charge. Its whopping 3410 mAh battery destroys the iPhone 6s' battery with an estimated 14 hour battery life, so you'll worry far less about your Blackberry clonking out in the middle of the day. There's also a feature where you can still see you Priv's battery life even when the device is sleeping. For the first time Blackberry will be rolling out a Android operating system on its new handset. A recurring problem with previous Blackberry handsets is that they didn't have the range of apps which the Apple App Store and Android Marketplace possessed, which always put Blackberry second- well not anymore. With the Blackberry Priv you'll have full access to apps like Spotify,Uber, and Blackberry Messenger, and still be able to access beloved Blackberry only apps in the Android Marketplace. The Priv will come with a 18MP camera which according to Blackberry “is engineered to deliver professional photos with integrated technology commonly found in DSLR camera's”, however that doesn't mean that the Priv will replace your Canon DSLR, it just means that your photos will look incredibly good for a smartphone. On the front of the handset the camera will feature a 2mp sensor with 720p video recording. Also rumoured to be on board the Priv is 4k video at 30 frames a second, meaning the Priv will offer outstanding clarity on any video that you take. The price of the Blackberry Priv isn't cheap. It starts at £580 for the basic 16GB model; alternatively Carphone Warehouse has already introduced a pay monthly option that will start at £49 per month.